Today we have the pleasure of chatting with Brand Gamblin, self-published author of the YA sci-fi novella, Tumbler. A geek after our own hearts, Brand uses his background in computer science working as a video game programmer and (in his non-writing spare time) produces a hit web show, Calls for Cthulhu. In the latest entry for our Self-Publishing Interview Series, we ask Brand about his outlook on writing, the books he’s written for NaNoWriMo and how he’s used technology to market his work. What is your earliest creative writing memory? I remember doing some pretty horrible Fraggle Rock fanfic when I was about ten or eleven, but it’s foggy. In junior high, I wrote a serial story for the school paper. It was about a girl whose teacher finds a magic spell to open a portal into a Dungeons & Dragons fantasy world. I use a netbook to do all of my writing, so I’m pretty flexible on where I can write. I usually get 500 words at the breakfast table before everyone else is awake. At night, I’ll get another 500 in a rocking chair in my bedroom, which faces a bay window overlooking a forest. The chair isn’t particularly comfortable, which is good, because it encourages writing over napping. Do you listen to music while you write? If so, which artists? I can’t listen to anything. It sounds weird, but the only way I can write is by speaking in my head and writing down what I “hear”. If I hear something else, even another conversation going on around me, it distracts me from the internal monologue. On the plus side, it makes my written dialog sound a lot more believable. Today we’re continuing our interview with John L. Betcher, the author of the recently-released The Missing Element and of the upcoming novel The 19th Element. On Monday, we spoke with John about his self-publishing experience. For the conclusion of the interview, we’ll venture into marketing territory, discuss the need for independent reviews and find out what’s next for John before concluding with our fun Hot Seat questions! When and how did you decide on your marketing strategy? I don’t know if I’m a good resource to answer this question – yet. In my opinion, the publishing industry is in a serious state of upheaval. (Surprise, surprise!) I hoped to find some good suggestions for marketing my book in this environment by doing a lot of internet research, reading blogs, etc. To my dismay, there is no prevailing wisdom on how to guarantee successful marketing of a self-published book – or whether you should even publish one. So I’m learning as I go. Today we’re speaking with John L. Betcher, author of the recently-released The Missing Element: A James Becker Mystery. 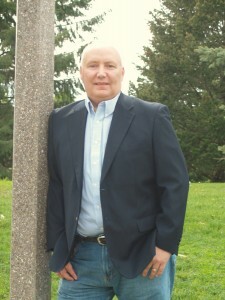 In addition to his writing, he also contributes greatly to the writing/self-publishing community through his blog, Self-Publishing Central and through the Agent Query Connect forum. John has been a great friend to Duolit — we were thrilled to sit down with him and find out more about his self-publishing experience. When and why did you make the decision to self-publish? I have self-published two books – each for a different reason. My first self-pub experience was with The Little Black Book of Volleyball Coaching – a very small book on the topic of establishing your coaching philosophy. This one, I knew I would be self-publishing from the word go. The target market is tiny . . . and prospect for profit minuscule. But I had some experiences I wanted to share with other youth coaches (of any sport, not just volleyball). So I wrote the book. I was thinking at the time that I might be handing out the book at volleyball-related speaking engagements, or in conjunction with coaching classes I might teach on occasion. The speaking opportunities have been available – but my interest in traveling to where the conferences and conventions are occurring has not been great. And cost has been a consideration. I’d love to share my experiences more widely – but the expenses of travel are prohibitive. The book continues to sell at the expected rate. 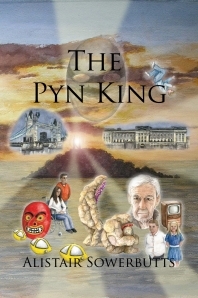 Below is the self-publishing story of Alistair Sowerbutts, author of The Pyn King. He discusses his motivation to self-publish, the self-publishing process itself, and his marketing efforts after publication. I self published the first version of The Pyn King for my sister. She had agreed to check the book for glaring errors before I started sending it out to agents. The manuscript was over three hundred and fifty double spaced pages and as such was unwieldy for a busy woman who was forever dashing around Europe by plane or train. Many twenty-somethings dream of crossing oceans and social barriers to have that one, life-altering experience that will give us direction and perspective for the rest of our lives. Very few of us, however, actually have the cajones to make our dreams into reality. Instead, we can eagerly devour Moustrapped, the self-published debut of Irish author Cath Ryan Howard, someone who actually did take a risk and journey across the Atlantic to spend a year and a half living and working at Disney World in Orlando, Fla. I picked up Cath’s book to find a good quote for this blog (promising I would reward myself by reading it in its entirety after suffering through the last few chapters of my current read, Warrick Dunn’s memoirs Running for My Life) but an hour later I found myself still seated on the couch, engrossed in Cath’s witty, but honest tale of her adventures in the land of the Mouse. We will have a full review of Moustrapped to offer very soon, but in the meantime we have a great interview with Cath about her experiences writing and self-publishing her first book, which is available in several locations including the UK and US versions of Amazon.com.